Special Containment Procedures: Due to the complexity of SCP-2XXX, it is so far proved impossible to isolate outside a host. Any attemps have resulted in failure and the infection of the staff. The host containing SCP-2XXX is to be kept inside Bio-Research Medical Facility at Armed Bio-Containment Area-14, with the entire building shall be kept under Level 4 Biohazard containment protocols, and a 100m security perimeter is to be maintained around the structure under constant guard. No biological material is allowed to come in contact with SCP-2XXX. This includes both animal and vegetal materials. The host will be placed in cryogenic suspention to slow SCP-2XXX. The host is to be kept inside 3 x 4 meters room, with steel, lead and titanium layers covering the walls. Test with SCP-2XXX will be conducted only with the approval of all the O5 Council Members. Physical entry to the SCP-2XXX Bio-Research Medical Facility is limited to personnel with approval of the Site Director and only with full Level 4 containment gear. A pre-exit, 96-hour, on-site quarantine in the facility’s dedicated sterile area is mandatory before any personnel are allowed back across the secure perimeter. All subjects infected with SCP-2XXX shall be isolated and remain under observation in individual rooms in the SCP-2XXX Bio-Research Medical Facility. Due to the complex manifestation of 2XXX, Dr. Sophia Light, Researcher Jacob Conwel, Dr. Zyn Kiryu, Dr. Mark Kiryu, Dr. Riven Mercer and Dr. Katherine Sinclair are to be tranfered to the Bio-Research Medical Facility at Armed Bio-Containment Area-14, by the order of The Administrator. Description: SCP-2XXX appears to be formed of multiple bacteria-like organisms. 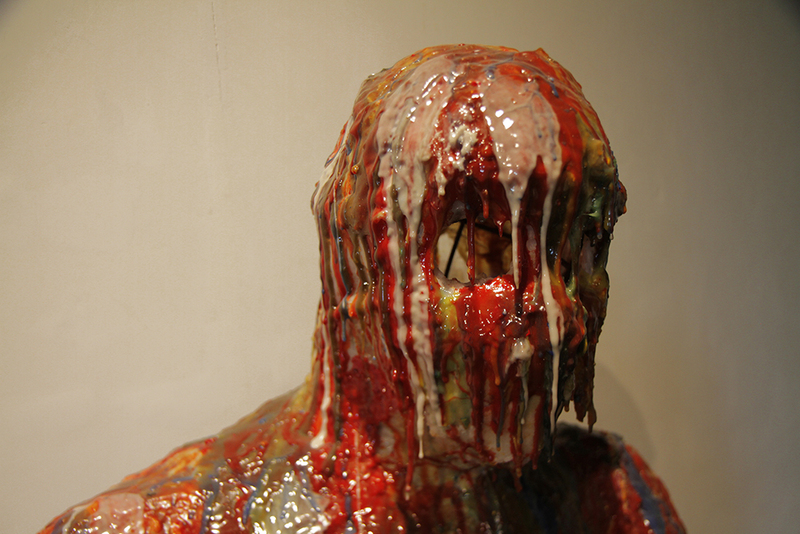 SCP-2XXX can be considered a Bio-Weapon, capable of disintegrating a person's body in mere seconds. The most interesting aspect of SCP-2XXX is it's infection style. While it does't attack the target directly, it sends rather a different straing of itself, a SCP-2XXX-2. SCP-2XXX-2 will attack the cellular structure of the target, destabilizing and "liquefying" the target, including the bones. SCP-2XXX can be transmited through a number of factors : via direct contact, air, water and body fluids. SCP-2XXX-1, the host containing SCP-2XXX, has been discovered in ███████, United States. Due to the severity of the outbreak, the entire area had to be incinerated using Napalm, covering a 30 km blast radius. The most interesting aspect of SCP-2XXX is it's infection style. While it does't attack the target directly, it sends rather a different straing of itself, just as lethal. So far, any traditional protective suit has been proved useless, as SCP-2XXX will disintegrate the protective coating and enter the body. The only material that succesfully resisted SCP-2XXX-2 is a combination of lead, titanium and steel. SCP-2XXX-2 can be destroyed using fluoroantimonic acid. The main SCP-2XXX continues to resist any other form of destruction. Furthermore, this is a draft and belongs in Drafts and Critiques, and you've already posted this there (which Roget collapsed). This thread is locked.